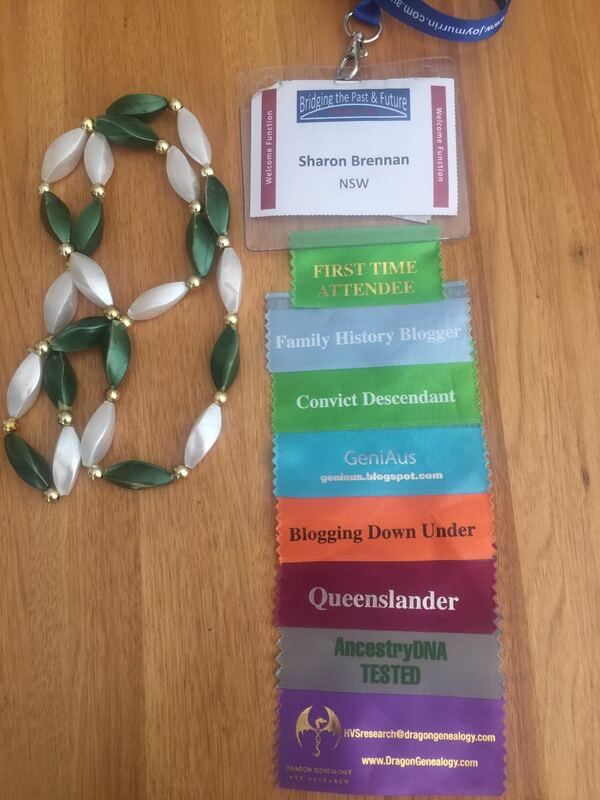 Finally I have time to sit and reflect on a fantastic four days last week. 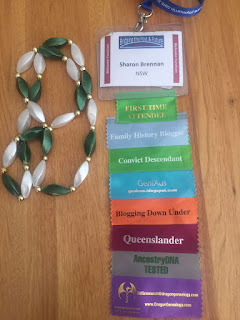 I am very pleased with my decision to take two days LSL and attend Bridging the Past, the 15th Australasian Congress on Genealogy and Heraldry. I was always going to wait until I retired to do something like this. I hope there is another congress in three years time. I'll be there! So pleased you didn't wait until retirement. See you in 2021. I can't wait. I'd love it to be in Melbourne. I'd love it to be in Melbourne too Sharon, then I could afford to go. We've all got those homework lists! It was great to meet you. Great list of things to do and you reminded me of some I need to do too. It was good to meet you and share stories and experiences. Yes, much to follow through, I’ll be busy for months. The problem is I don't know where to start. I think I need to develop a plan.